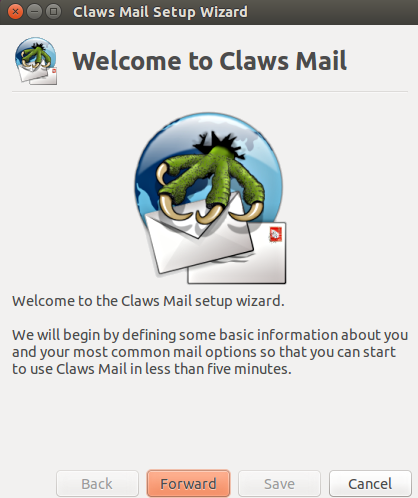 Claws Mail is a GTK+ based email client and news reader application, widely popular on Linux operating system. It is a completely free application and offers easy installation, configuration and usage. It is aimed for all kind of Linux users. It is a fast and lightweight application which hardly consumes any resources on our computer system. It offers a sophisticated user interface, extensible with the help of plugins and ensures stability and robustness. Recently Claws Mail 3.12 has been launched. Let’s review its important features and installation steps. The most important feature is the addition of ManageSieve plugins to help users save Sieve filters. Support for Mac-cyrillic and SCRAM-SHA-1 has been added. Filtering/Processing components have been revamped and received major performance fixes. Improvements for RSSyl plugin and “Cc” features. A new spam filter options “’Only mark as spam” has been added to the Bogofilter plugin. In addition to above mentioned features, around 35 bugs have been fixed in this new release. You can install the old version of claws mail by importing its PPA to APT/YUM package managers. But in order to install this latest version, we will need to follow the source installation method. Let’s first install all required dependencies. Launch your terminal and run following to install depenendices for claws mail. Once these dependencies have been installed, download the new version of Claws mail from following URL. Once the above command completes successfully, run following command to take installation to next level. Congratulations, Claws Mail has been installed on your Linux system, you can launch it from Applications menu. This did not describe how to properly install claws. None of the commands work. Assume you’re working with idiots! Make it idiot proof. For fucks sake this is annoying that all of these sites do not tell you how to install things. What errors you are getting? Please use decent language in future, You are getting all this help for free, otherwise go and figure out issues on your own you GENIUS. 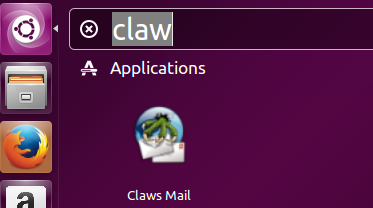 What is a good directory to install the Claws application? I really don’t like to install programs in my home directory. The version in the Linux Mint repository is installed in /usr/bin and /usr/share but it is an old version (3.9.3) and gives a bunch of SSL authentication issues which are hopefully resolved in the newer version. And do I first need to de-install the version from the repository before installing manually from the tarball? Yup, you need to uninstall old version first before using tar ball to install new version. Secondly, if you want claws mail to be available for all users, its better to install it inside /usr/bin, otherwise you will need to manually change config file of claws mail before running installation process to point to the directory of your choice; we would recommend consider using /opt. Hi, thanks for your answer! I managed to install Claws mail manually but is was not exactly easy… I had to install a bunch of missing packages for GTK and IMAP handling, among them libgtk-3-dev, libgtk2.0-dev and libetpan-dev. The application was installed in /usr/local/bin without asking for a destination but that is not a real problem. The themes are apparently not installed together with the tarball but I was able to download and install my favourite theme (Elementary) manually. And I cannot find the Fancy plugin under the plugins directory (/usr/local/lib/claws-mail/plugins). Is this plugin available otherwise, or another plugin for viewing HTML mails? I ran the installation again and noticed there were still some dependencies missing and that was the reason that the Fancy plugin, among others, was not compiled and therefore not visibly in the plugins menu. After getting all dependencies and compiling again the Fancy plugins works now! Unfortunately, this does not appear to work at all on Mint 17.3, a ton of dependencies is missing. While I got through a bunch of these simply by installing the missing -dev packages, I have a show stopper with libetpan-dev. libetpan-dev depends on outdated versions of libgmp10 and libgnuutils-openssl27 that would break my system if I tried to install them. Also, outdated versions of openssl are not acceptable from a security perspective. I’ve been running Claws 3.9 I like it and want to upgrade. I downloaded 3.12 seemingly successfully but at the end of the install a message said Error 1. I still have my original version but I can’t find the new one.